A wide range of Access and Support products for hire or purchase including Acro / Support Props, Trench Struts / Supports, Prop Accessories, Aluminium Access Towers, Portable Working Platforms, Ladders and Steps, Trestles and Boards. Please click on any of the sub-categories below for more detailed information. 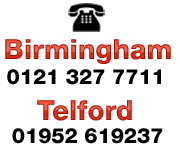 With offices in Birmingham and Telford, we are ideally located for the West Midlands and Shropshire.